We know we are sounding "grumpy" with what we require. But without a firm target number to design around, then how can we make sure your new frame fits? Many folks give us rough dimensions and say "well maybe I want to be more upright." But you need to test that - when you go more upright you need to adjust reach to compensate. And we don't want to guess. So you may need to do some work before we supply your new frame. But in the long run, this has proven itself invaluable as we can't recall a frame we've supplied with an unacceptable fit. Thanks for your understanding! 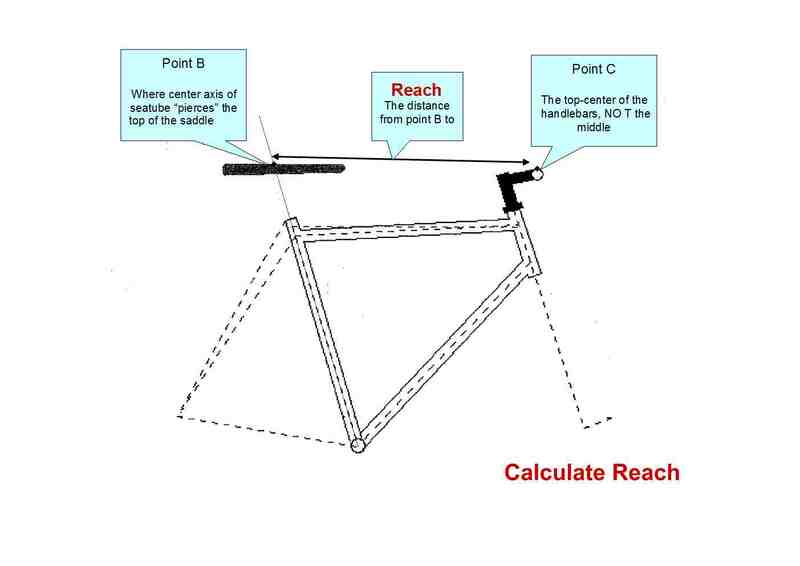 You must make sure that these are correct target numbers in order for us to design/approve your new frame geometry - don't pull these numbers off a bicycle that does not fit well! Even for "stock" frames we like to do a mock-up for you so that we can confirm the frame fits. 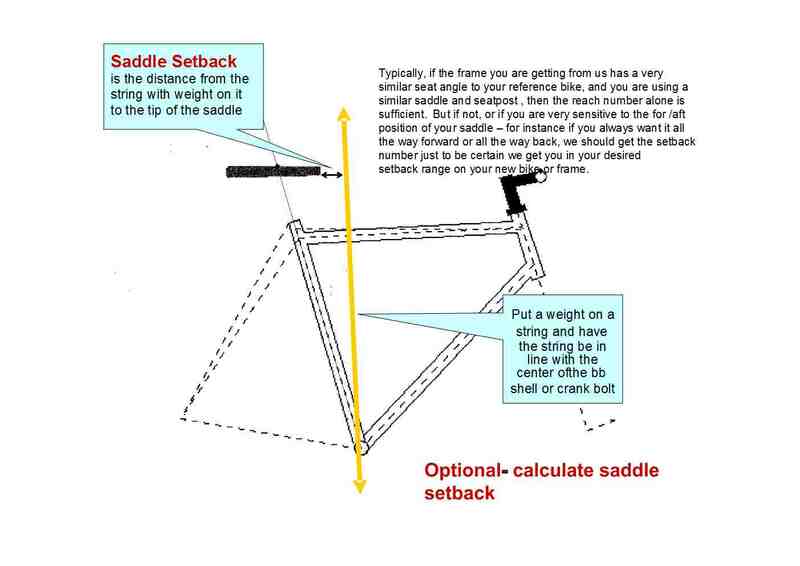 Plus this will give you stem/spacer information so you can set the bike up easier. 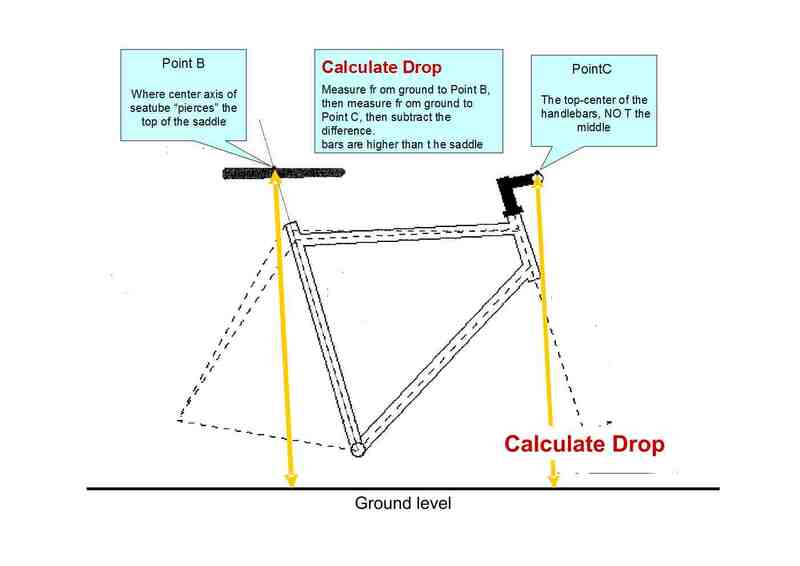 Then you will need to work with a local bike fitter to generate the Saddle Height, Reach, and Drop (and possibly saddle setback) numbers. 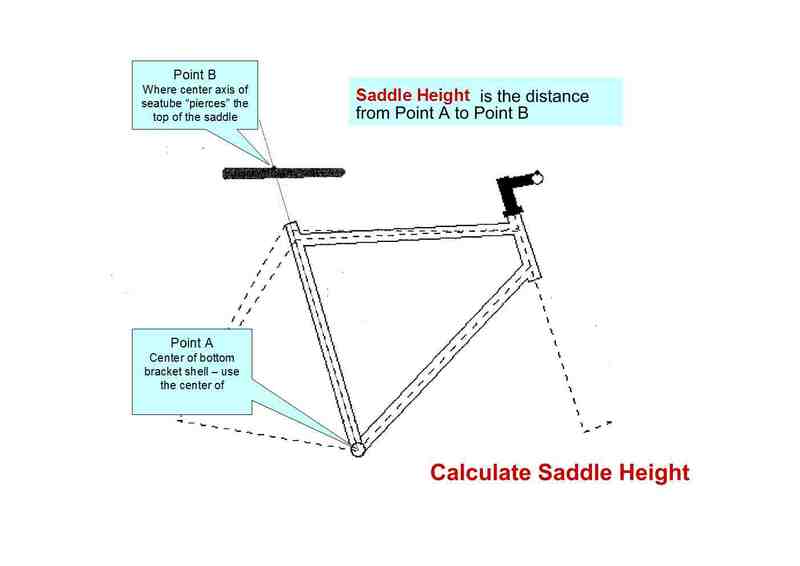 We strongly suggest that if a fitter gives you these numbers after a fitting, that you set an existing bicycle up with this "fit" and make sure it works. If this is not an option, we can still proceed from the target numbers you provide. But please understand that we can guarantee your new frame will attain the fit targets, but we can't guarantee that those fit numbers will work for you.